We are pleased to announce that Vicki from Tewkesbury has won the £340 cash in our weekly prize draw. For 17 weeks the Prize Draw, increasing by £20 each week, remained unclaimed but this week Vicki called in to claim the prize after her Prize Draw number matched the one drawn at random on the 22nd June 2017. Next week we will start again from £20 and will add a further £20 to the cash pot each week until the next winner comes forward. Could you be the next winner? 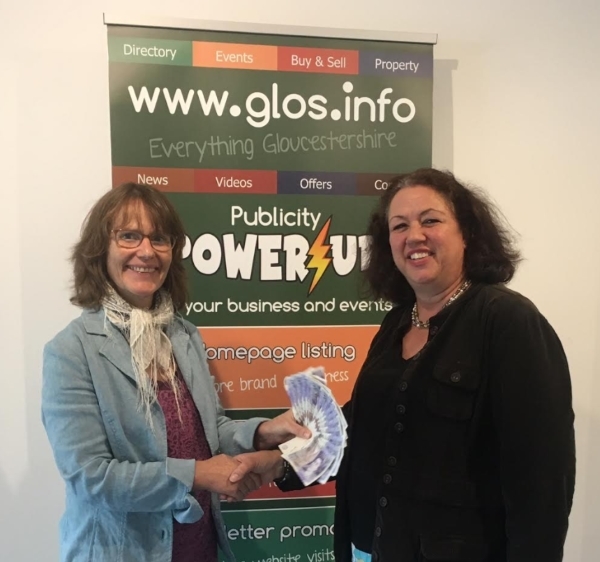 All you have to do is to sign up here to receive our weekly newsletter full of events, competitions, offers, news and businesses from around Gloucestershire. Click the More Details link below to sign up.